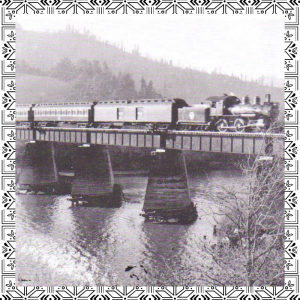 The broad gauge accommodated the passenger trains when the lumber industry along the lower reaches of the Russian River faded in the early part of the 20th century. The broad gauge crossed the river at three locations: (1) Cosmo (now Hacienda), (2) between Rio Campo (now Northwood) and Bohemian Grove; and (3) at Duncans Mills (see photo). 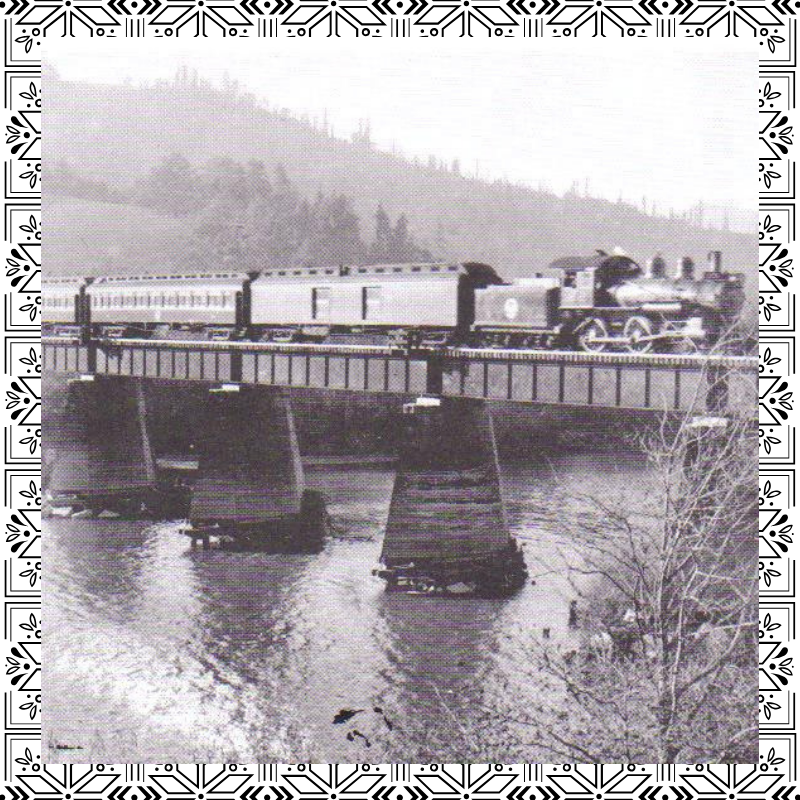 Two trains made their way from San Francisco to the Russian River on a daily basis with weekend and holiday specials offered at $1.25 roundtrip. The larger 4-4-0 engines were capable of handling a thirteen-car train. Northwestern Pacific (NWP) once again bounced back into the black until the Depression hit in earnest, crippling the system in the early 1930’s.